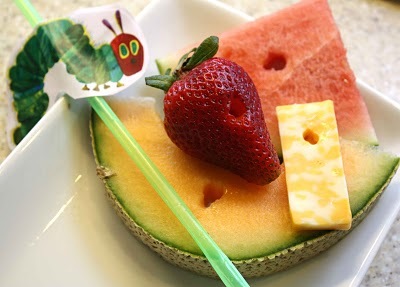 An absolutely adorable snack idea for your littles! Print the template for the caterpillar straw decor at Gourmet Mom on-the-Go! Read the book…have the snack. Love. Love. Love! I am doing a baby shower in this theme on saturday…so i might do this for my daughter cause she is the only little one that will be there 🙂 She will LOVE IT!